Let KARACHI (ckarachi) know the views of its exclusive members on what they think about Former Pres. Musharraf and the current political system of Pakistan. You guys MUST come out if you support the current political system or the former president. "This is the time to express and show your support for Musharraf, a man who did so much for Pakistan over the past 8 years. The least you can do is come out with your family and friends and say you admire Musharraf. The former President is being attacked and maligned daily by overly biased and sold out anchors and by known corrupt politicians", added Musharraf Supporters. Meanwhile, President Asif Ali Zardari has said that former military dictator General rtd Pervez Musharraf has no room for his political ventures in Pakistan, and he will remain in exile till he is alive. 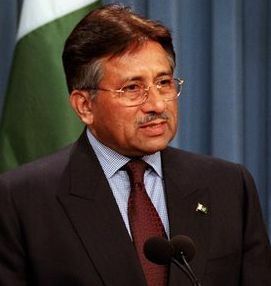 At least President Musharraf was far better then our current Lofar, Idiot of a Man, No Good, Corrupt "President". Imran Khan for President InshAllah :-) or President Musharraf as the second choice. i just want 2 say.... he is only the man who change our country politics n nation....we need u sir N we wellcome u here.... we r always with u..